The connections that we form with others can play a big, big part in leading a healthy and meaningful life. And, all those connections had to began somewhere, sometime. Those first impressions you formulated of someone and they of you may have given an indication of wanting to learn more . . . or not. And, maybe those first impressions then led to some pretty great and lasting relationships . . . or not. So, think back to your first impressions of those that are a large part of your life now. Were they off to a good start? What about you? Do you think you gave a good first impression to them? Or, have you ever wished for a “redo” on those first encounters? Studies say those first impressions are hard to erase. Thus, with that in mind, I gathered some commonalities of how some of those first impressions that have gone well not only for myself but what others have done with me to provide an especially positive experience. Read on and let me know what you think. Don’t look down or over there. And, a sure way to make someone feel annoyed and insignificant is to look over someone’s shoulder searching the room at a party for someone else more influential to go to next. Nope. Look people in the eye with that warm smile and forget about the other people nearby. It really is the easiest, is it not? Don’t pretend or put on airs. And, besides, that can be exhausting, keeping up a disingenuous act that is usually quite transparent anyway. Be present where you are. Don’t keep checking your phone, or again, scanning the room. Give that person your attention and get to know him or her a bit. Going to someone house for the first time? Perhaps bring a small gift. A plant, some flowers, a baked good from a local bakery, fresh fruit from the farmers’ market — they could all be appreciated and indicates thoughtfulness. Don’t miss this: Look at these great ideas for hostess gifts right here. If you know you will be meeting someone new, think of three questions you can ask the person. Those questions can get the conversation going and trigger thoughts you may want to share as well. Don’t fire them off like an interview, though. Just have them in your head and go with it naturally. You may want to only ask one. It is best to think of questions without a no or yes answer. too, and never something too personal. If you have something nice to say about someone, by all means, share it. If you are impressed by their design skills at their home, tell them. Do you admire their work? Great. Tell them why. Your comment regarding your common interest could further develop your connection. Genuine and kind thoughts are always appreciated, too. Don’t miss this: Make your best friends and design your best social life with all the steps laid out to get it going right here. Always, always thank host and hostesses, of course. But, if you had a conversation going with someone and you offered to provide more information on the topic you were discussing (your talented handyman name and number, for example), don’t let it slip. Make a note of doing just that in a timely manner. Don’t miss this. Here is how to invite those new acquaintances over for a casual get-together. 9. Remain open and repair . . . if necessary. First impressions can be a great start, but despite what the studies show, they are not the end all. If it did not go well with someone that you wish it had, I say, ask for a redo. Just be honest and ask if you can start again. Would you like to add to the list? Make some more suggestions or share a story about a first impression gone well or . . . not so well. Please do. I would love to hear! I love the arts so I go to a lot of art show receptions which are usually packed with fellow art lovers — most of whom I don't know. Learning how to socialize and initiate conversations at these events can be challenging however your tips are right on target. Thanks for sharing How to Make Your Best First Impressions with us at the Healthy Happy Green & Natural Party. I'm pinning and sharing. So impressive you do that Deborah! Bravo! I am sure you make a very warm and intelligent impression! Happy to assist and best of luck showing your best side! Thank for taking the time to comment! These are such great tips! My job often involves networking events and meeting new people so making a good first impressions is so important! Great, Liz, so glad these tips can help you in your job! Those first times we meet others can then go much better and start off on the right foot! Thanks for bringing this interesting and helpful post to the Blogger's Pit Stop. To add to your great points I would say it is a compliment to use and remember a persons name. That is an EXCELLENT point and so true, Kathleen! It also has the extra benefit of helping me remember names – not a talent of mine. Thanks so very much for adding this to the list! It can feel like that sometimes, I agree, But, the more we all act showing concern for others and with the respect that we all deserve, the more it catches on! these are all really good – I think giving compliments and being "present" through a conversation both create engagement and a deeper connection. A deeper connection is the goal! You are right. Thanks for stopping by and sharing your thoughts. So glad you liked the post, Leanne! These are all great points, give freely …Think about others make you feel good thanks for sharing. Great! Happy to hear the points are helpful. Thanks for adding in! That is an excellent point about putting the emphasis on the other other person, Helen. And, so true as well about having a little prep in your mind before a social gathering that we may not be feeling quite up to. It makes it easier if you just have a few things to tell yourself to do and then, hopefully, you will really end up enjoying yourself and meeting some interesting people. Another great collection of tips, Lori. 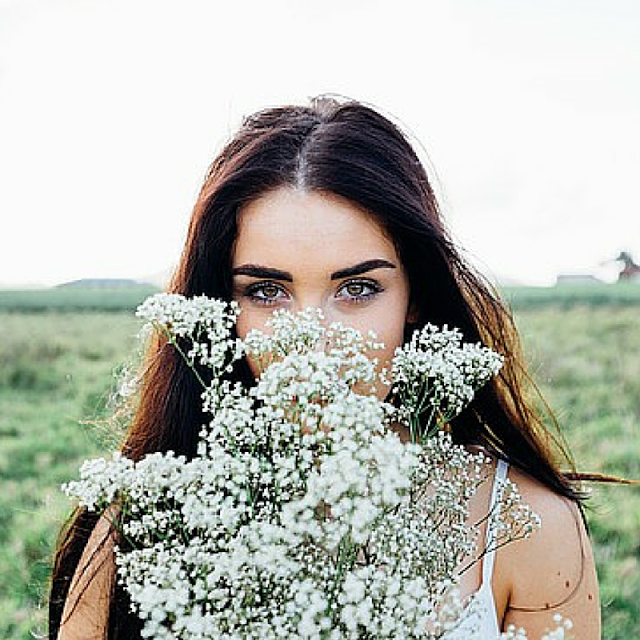 I sometimes find creating a good first impression harder if I'm stressed out or tired (or both!) so it's great to have a reminder of these things in my head. Smiling warmly and asking questions would work even if you weren't feeling your best. If you put the emphasis on the other person and not on yourself I think you can't go wrong. Wonderful tips. I have been meeting a lot of new people lately and love this tip the most – "I am really happy to meet you smile." – a warm and cheery smile makes all the difference 🙂 Great Post! Thanks, Ceara! I am pleased you liked the tips. You can bet that warm smile sure makes anyone want to get to know the one behind the smile more. Your kind comments are most appreciated! Yes, good health means many things besides what we eat, huh? Great post!! So insightful!! Love how it's about health related things besides just food… great blog!! I definitely think that a smile goes a long way! I agree 100 percent! It's the best way to start! Oh, that is a great one – being a good listener. Thanks for making that point. So important, Laura. You are right! Thanks for adding to the list! 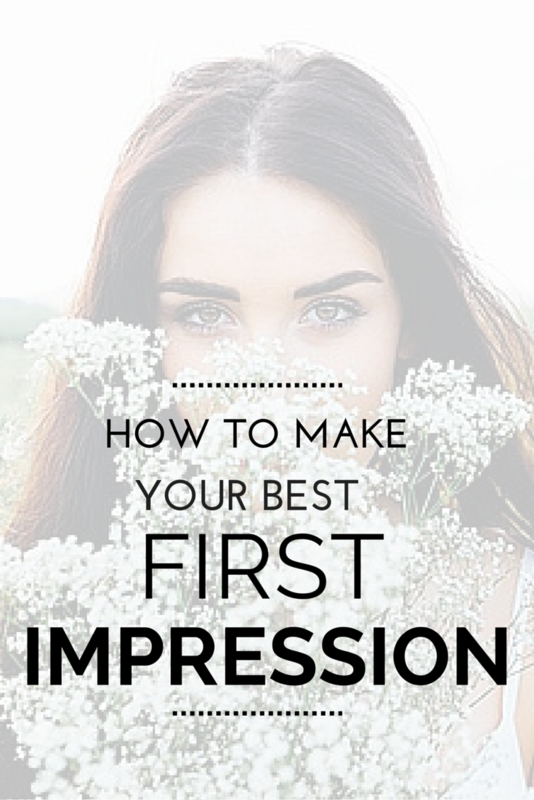 I agree, first impressions are so important. For me, the whole point about smiling is just so vital. If nothing about, giving a real, warm smile sets people off in the right direction. That and being a good listener. Never underestimate the power of being willing to listen and not do all the talking!